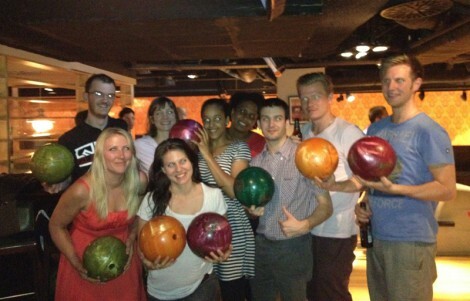 On the eve of Tuesday the 24th of July 2012, the whole of Top Left Design – including Amy who normally works for us from South Africa – attended one of our legendary team building events – bowling at All Star Lanes in Bayswater. We brought a few friends along too. For those who don’t know, Amy lives in South Africa but works full time for Top Left Design. We bring Amy here every year to enjoy some of her company in the London office – and we try and arrange lots of fun things and do at least one big team building night out – so it’s not all work work work! Our night started off with two team members (who shall remain unnamed) forgetting their wallets – only realising after we had all as a big group arrived at Tottenham Court Road tube station. They had to turn back, promising to reunite with us soon. The rest of us clambered onto the tube, heading for All Star Lanes in Bayswater. After a few checks for directions on Google Maps, we found our way, and luckily our two wallet forgetters joined us later. 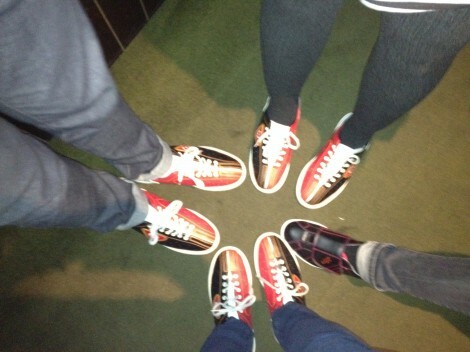 After a couple of cold drinks and a yummy ‘American diner’ style meal, we slipped into our bowling attire, and the bowling banter began! We took over two bowling lanes and with a few egos boasting their intentions of humiliating the rest with their Fred Flintstone bowling skills, the games got underway. Everyone had a great time and plenty of laughs. 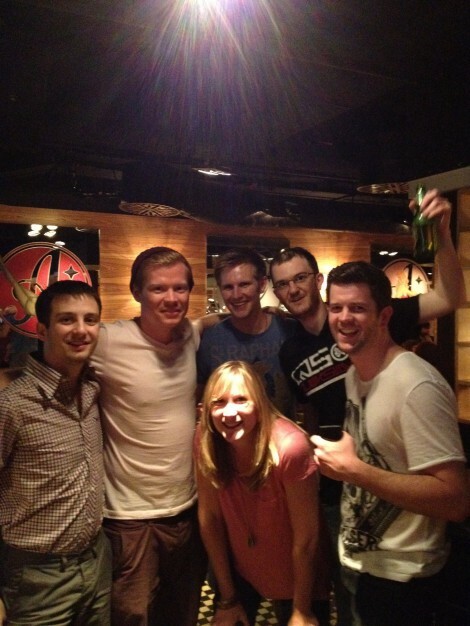 We were joined by a few “Friends of TLD” who you may or may not recognise in the pictures. The entire company – ALL of TLD – in one picture! Amazing! 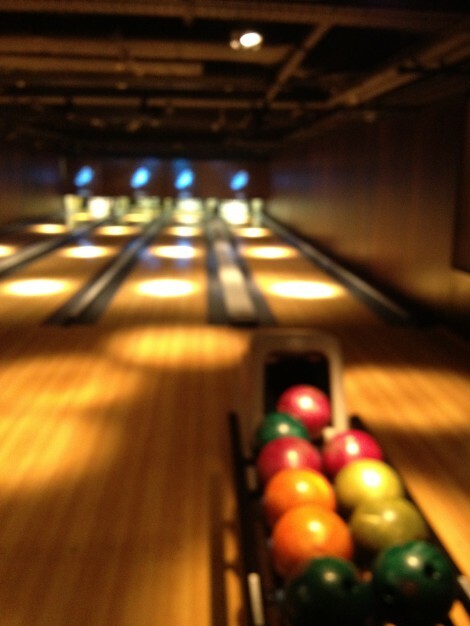 It didn’t end at bowling. 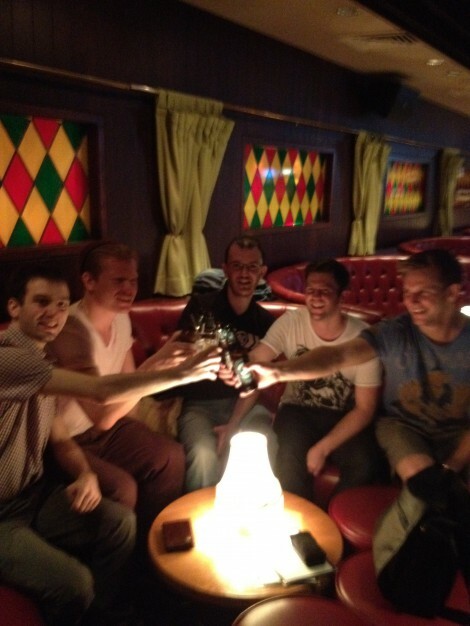 There was drink clinking too!